Hola hola!! 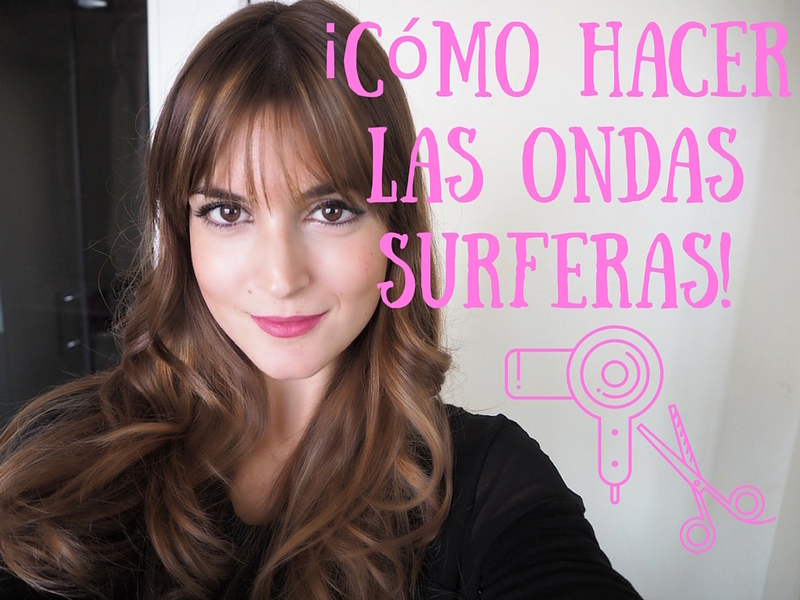 Quería hacer otro video pero me están insistiendo con el de las ondas, así que aquí lo tienen! Como ven es súper fácil y el cambio es bastante grande. Las animo a probarlo y contarme que tal les ha ido! Un beso! Hi there! I wanted to do another tutorial, but you asked me about how to dow hair waves so here you got. As you see, is so easy and the effect is amazing. So, try it, and let me know how it goes! Big kiss and have a nice day! jajaja... me encanta como hablas, eres muy natural, cuando dices que no lo tranco... me hizo muchisima gracia, es que eres muy graciosa... gracias por el video, se me da fatal hacer las ondas, lo intentaré como lo dices a ver que tal... besos. Jajajaja lo de "no lo tranco" es muy canariojaja pero me sale solo jajaja. A ver que tal se te dan hacerlas ahora! Yo también uso las GHD para hacer ondas, y cuando les pillas el truco son muy fáciles de hacer y rápidas!!!! Me encanta la marcha que te traes! Y aunque haya sido rápido y l hayas hecho un poco "a lo churro"... te ha quedado genial! volume it is conceivable that you acquire that volume by being your own customeror you imply different people and you have team volume then Interactive Option qualifies you for these particular bonuspools the way that I can mathematically guarantee that works paying little respect to the way that you are the last individual to ever. Ayyy que arte tienes!! Yo soy incapaz :( intentaré hacerlo como lo haces tú a ver si me sale que tb tng la Ghd y no le saco partido. Gracias! started my journey when I saw this borrow myself on July 4th 2011 so the photo number one I was 230-pound a size 20 I joined the gym I Blackcore Edge Post Workout had no idea what to-do I hired a trainer and started watching videos on YouTube different exercises in three years I lost eighty pounds I’m now 150 pounds in a.